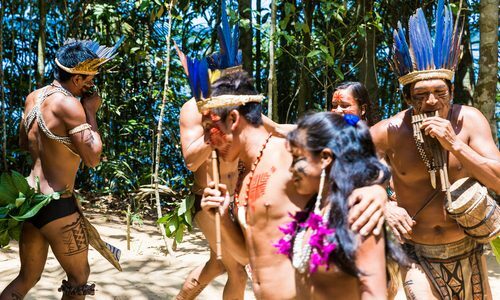 I wanted to share with you this new study published in the Lancet medical journal, that studied a remote Amazon tribe living in the Bolivian Amazon which has shown to the researchers to have the healthiest arteries ever studied! This study concluded that an 80 year old from the tribe has the same vascular age as an American in their mid fifties! Not only was the tribe’s heart rate was much lower but also their blood pressure, cholesterol and blood glucose! Unlike people in the West, the Tsimane tribe live on a diet low in saturated fats and obviously high in non-processed foods. The researchers visited 85 Tsimane villages between 2014 and 2015 and measured their risk of heart disease by taking CT scans. They discovered that almost nine in ten of the Tsimane people, about 85% had no risk of heart disease. Only 3% had moderate or high risk. But do you know what the key takeaway was for me? That their diet consisted of largely complex carbohydrates (72 percent of their daily calories) that included non-processed carbs which are high in fibre such as rice, plantain, corn, nuts and fruits. Doesn’t it sound similar to my gout diet as outlined in this website and my eBook where I state a gout diet should consist of 80 percent complex carbohydrates? Protein consisted of 14 percent of their diet ( I recommend 10 percent for a gout diet) and came from animal meat. Fat comprised of 14 percent of their diet ( I recommend 10 percent for a gout diet) which is equivalent to an estimated 38 grams of fat each day, including 11 grams of saturated fat and no trans fat whatsoever! Smoking was obviously non-existent among the Tsimane. The lesson here for all of you is that if you follow my gout diet formula of eating 80% of your daily calories as complex carbohydrates such as vegetables, legumes, beans, nuts, some fruit, whole wheat bread, pasta, rice and eat 10% of your daily calories as protein (poultry, red meat, fish etc…) and fat as in milk, cheese, eggs, butter, yogurt…you will live a longer and healthier life, your gout will be more in control, the risk of getting any other complications of gout like diabetes, high blood pressure, heart disease will be lower for you. Remember gout is part of what we call the “metabolic syndrome” which I’ve talked about before. Diseases like gout come mostly from bad diets and bad lifestyle. Yes genetics plays a role to a certain extent but not like the role diet and lifestyle plays. The other lesson in this study is the importance of daily activity. The Tsimane are incredibly active every single day. Walking for about 8 hours a day while hunting and gathering. Exercise is very important even for us gout sufferers and I have also outlined that as well in previous posts. So learn from the Tsimane tribe. Apply their the dietary and lifestyle lessons to your life and let’s lower those uric acid levels. 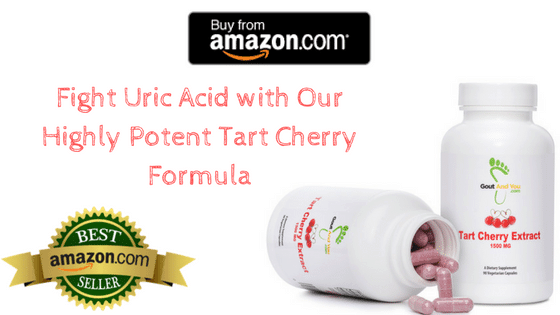 Does Chanca Piedra Lower Uric Acid? I am 28 years old. Recently I got a severe pain in my left shoulder blade and then sometimes it would happen in the right and lower back as well. After taking medicines for muscle pull , it still didn’t become ok.
Now the pain is less but with the medicines I have become quite weak. I have a few doubts I would like you to help me with. 1. I used to exercise daily and have protein powder which I believe must have caused this high level. What can I replace it with being a vegetarian and what should my diet be like? 2. As gout is a toe issue , is this pain which I had related to that? As am not sure . 3. I have been following a very less protein diet and more calcium for now. But what should I eventually be eating ? 4. How long would this take to completely be ok? Can I start going to the gym and swim? I have pain but it’s less now. You can replace your protein intake with beans instead. Read my article on Gout and Beans to learn more. Yes gout pain and inflammation is mostly in the big toe but can affect other joints as well. What you should be eating is 80% of your daily calories as complex carbohydrates like fresh vegetables, legumes, beans for protein, 100% whole grain breads, pastas, rice and some fruit. Finally, 10% of your daily calories can consist of protein, like lean meats as in chicken breast, turkey, lean beef and fish. Avoid pork and organ meats. Avoid alcohol, sugary beverages and drink only water, herbal teas and coffee. Avoid all processed foods and meats. Avoid sugar as much as you can especially high fructose corn syrup. Has any correlation been noticed between gout and gluten? Gluten doesn’t affect your gout, nor does eating gluten free. If anything you want to be eating gluten cause that is where all the nutrients are! Unless you are part of the 1% of the population that suffers from celiac disease. I have come across your website while doing some investigations into the causes of gout. I have been a sufferer for maybe 10 years now, but up until 6 months ago I would only suffer an attack every 12 months or more. When I did get an attack I took one dose of anti- inflammatory gout medication (Indocid) and that usually did the trick. In the past 6 months my attacks have become frequent and resistant to the Indocid, so I have now been put on daily medication (Allopurinol) to try and reduce my uric acid levels. I am emailing you today because I want to know if I can reduce my uric acid levels naturally through diet and potentially remove the reliance on the Allopurinol. In reading several articles today, fructose seems to be a consistent culprit for high uric acid levels. I am 47 years old, have a reasonably good diet, non-smoker, I drink at least 2 litres of water daily and exercise regularly and have over past 5-10 years drank alcohol only occasionally. In reading the articles today about fructose high foods, it certainly made me focus on what I may be currently eating to cause the high levels. I do eat 3-4 pieces of fruit daily, I usually have honey on my oats for breakfast (also processed cereals and muesli’s) and I do enjoy grapes and dried fruit, mainly medjool dates, raisins and sultanas. I very rarely consume soft drinks, if I do it will be 1 glass only. For most of my daily main meals I include a protein and vegetables (COOKED OR SALAD) (including potatos and sweet potato) as part of the dish. If you are able to, please reply to me and let me know your thoughts. I know the information I have provided is basic, but I am hopeful you can provide some insight into what I can do to eliminate the gout attacks. I agree. This is what I was trying to say in another post recently. My own recent research into this terrible condition (first attack about a year ago, many bad ones since then, lingering foot damage, etc.) seems to consistently point to an intake of unnatural and overly processed foods being the main cause of gout in today’s society. I am currently going through a complete lifestyle and food upheaval. I’ve generally lived on burgers, beer and convenient processed junk food all my life and I think that is why I’m where I am now, but thankfully I am confident that changing to a healthy diet and lifestyle can reverse the process. I believe am suffering a lot of gout attacks because my body is going through the changes from being one thing to another with the help of allopurinol. My own research suggests that I will have a problem with uric acid crystals for a time until my body gets rid of the bad stuff and I can keep it healthy with the good stuff. But this could take years. This site has been very informative and a big help in getting focused on what to do. Doctors often just don’t know enough and sometimes even seem unsympathetic about gout. I’m convinced the answer is in being intelligent in what we eat, as this site explains, and not to just rely on medication to fix everything once it’s too late.